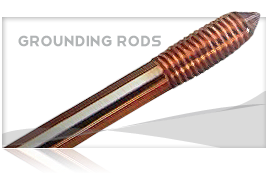 Concentric-lay-stranded conductors made from round Aluminum Alloy 1350-H19 with an aluminum-clad steel core, either AW2 (normal strength) or AW3 (high strength). 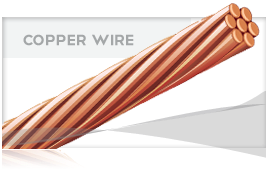 Primarily used as the phase conductor for overhead transmission and distribution. 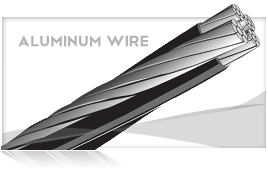 It is preferred over conventional ACSR because of its higher corrosion resistance, lighter weight, longer service life, and reduced power loss. +Conductor temperature of 75°C, ambient temperature 25°C, emissivity 0.5, wind 2 ft./sec. in sun.